This entry was posted in A Better Life, Animals, Happiness, Photography 101, Playful Puppies and tagged Awareness, BLISS, DOG, happy, Living in the now, Pets, Photo101, photography, PUPPY, treasure. Bookmark the permalink. Thanks. 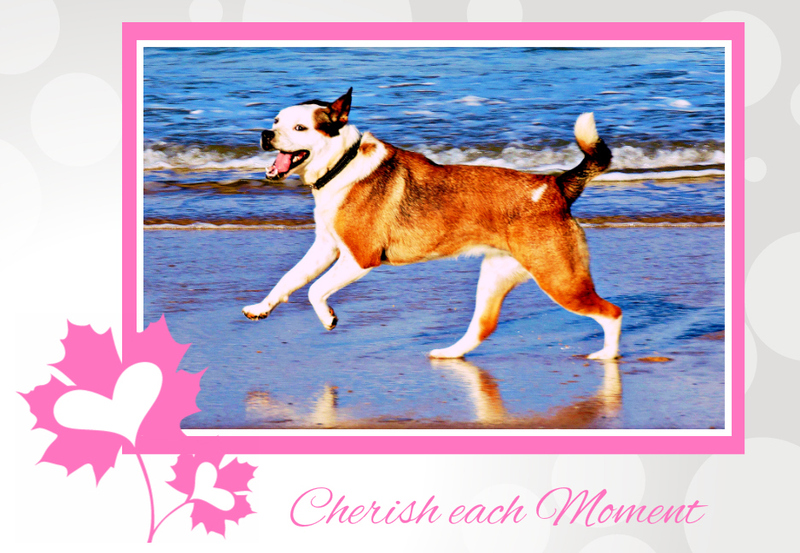 I love to watch things like a dog running at the beach, fully alive in the joy of the moment. I helps me to remember these things. I feel blessed to have access to such things. I am so glad to have found Nurturting Thursday. Nothing could be better! Dogs are brilliant for showing their emotions, your dog is definitely enjoying the moment – pure joy! Welcome to Nurturing Thursday! Love the photos and the words. Thank you for your kind wishes, 🙂 I hope you have a zillion zillion moments to cherish too.